In a study by group of scientists from and as. A group of researchers from Binghamton University, Department of Psychology found a huge repetition of pessimistic thinking among those who sleep late. Repetitive pessimistic thinking was linked to people who get only a few hours of sleep compared to those who get “enough” hours. This set of people always feel worry excessively about their future and think too much about their past. And all these occurrence are often seen among people suffering from various disorders like: anxiety disorder, major depressive disorder, post-traumatic stress disorder, obsessive compulsive disorder, and social anxiety disorder. 100 young undergraduates in Binghamton University New York, were asked to complete a battery of questionnaires and two computerized tasks. The rate at which they worry, ruminate or obsess about something were measured, and their repetitive negative thinking was also gauged. Information on their sleeping habits like the time when they usually go to bed, the number of hours of sleep that they get, and the continuity of their sleep were also collected. The researchers found that those who only sleep for shorter periods of time and go to bed later are always overwhelmed with repetitive negative thoughts. Sleeping late at night has been attributed to many illnesses such as diabetes, cancer, cardiovascular diseases, weaker immune system and mental disorders. The findings published in the journal Cognitive Therapy and Research thereby encourage those at risk of developing a mental health disorder to lend time to their sleep. If you’re a night owl, like myself, you must read this article. Very interesting and enlightening. 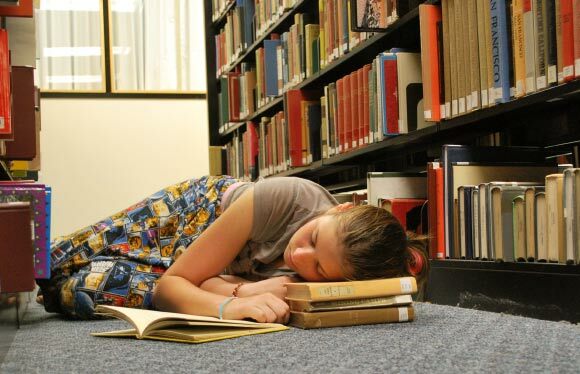 If further studies confirm that sleep deprivation is in the origin of many mental illnesses, therefore the main treatment processes will change, will be focused on sleep, not on the mental/psychological symptoms. I have been claiming this for 15 years hence why I’m very happy to finally read this. Keep it up. Thanks so much. I really appreciate your comment and the fact that you truly understand the fact that sleep deprivation is of adverse effect to the health. Subscribe to my blog to get updates of subsequent articles.